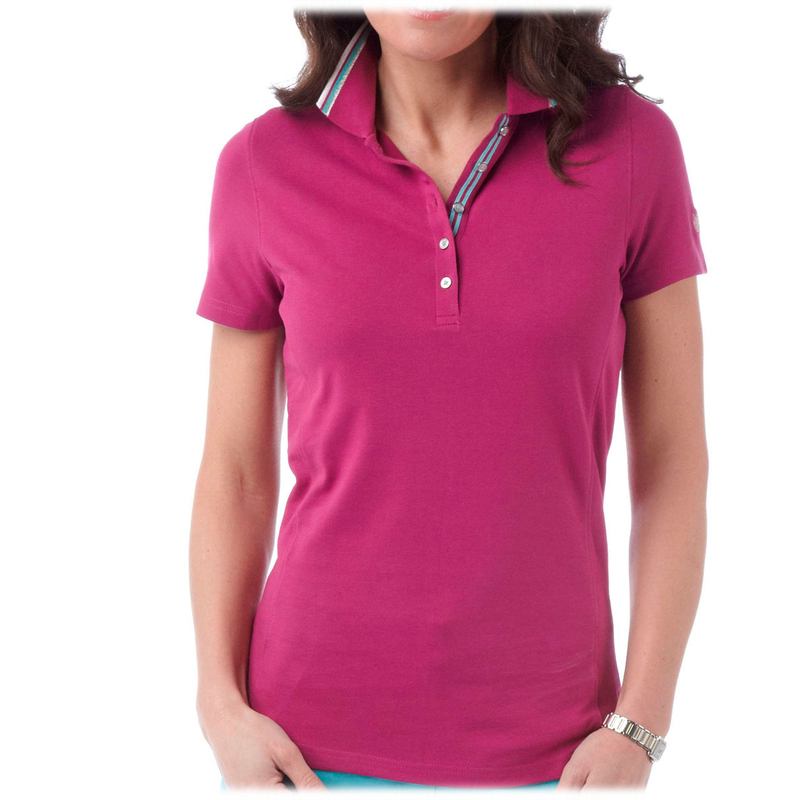 For a the ultimate style and unique slimming look the Palm Grove Tipped Collar Ladies Polo Shirt is perfect for the golf course. 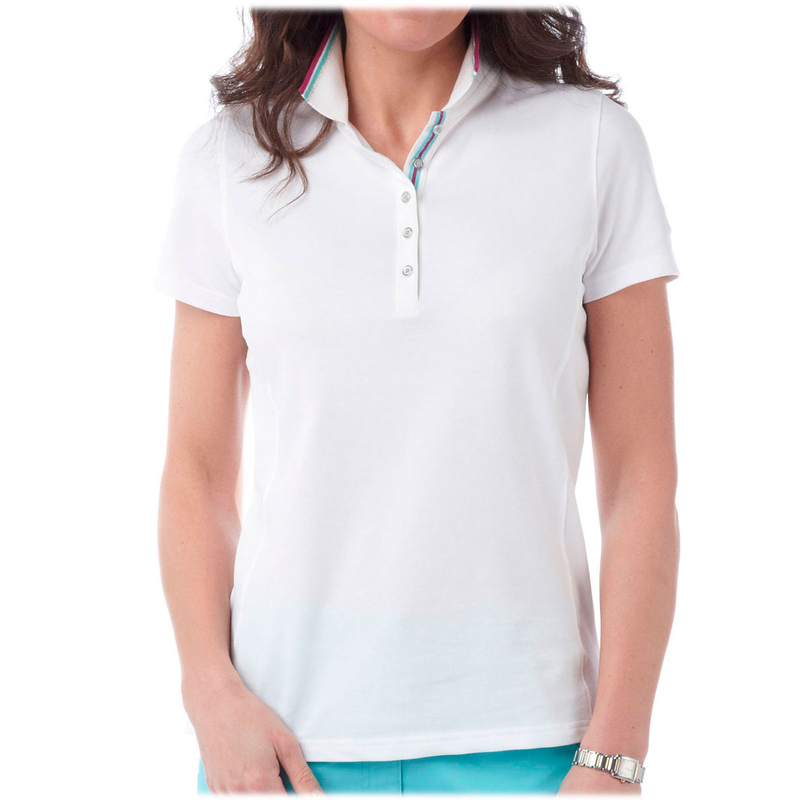 Swing without restriction as the shirt features a stretch fabric to ensure you remain comfortable during your game. 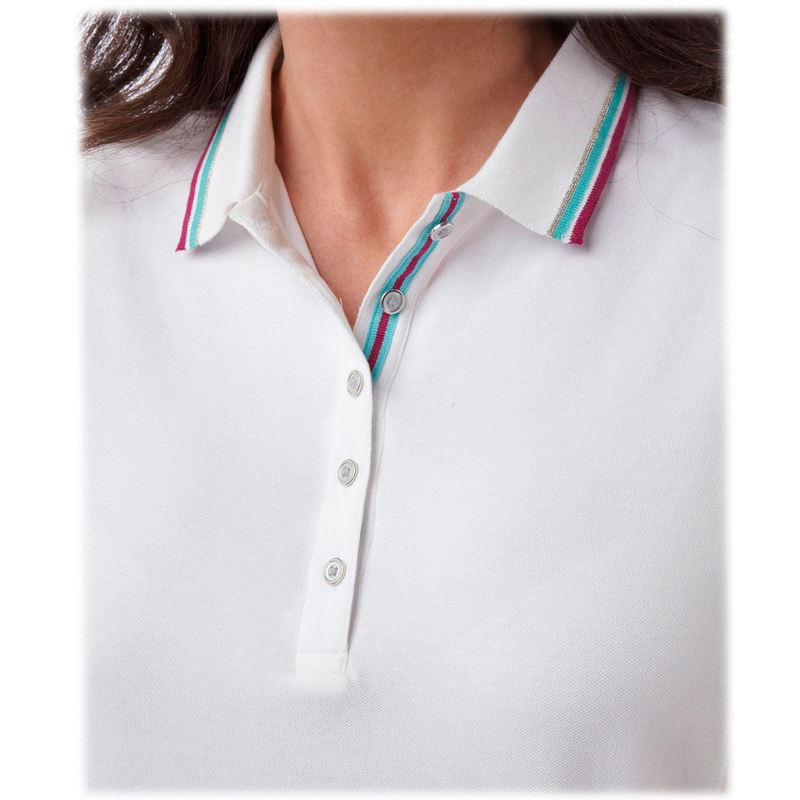 To add to the style and functionality the shirt features a knitted collar with contrast colour stripe detailing on the collar edge. A five button placket with ribbon tape on the inside and a silver lurex Palm Grove logo on the left sleeve.